According to the independent Levada Centre research organisation, more than half of Russians aged 18 — 24 use the government-run Perviy Kanal (Channel One) TV channel as their main source of news. 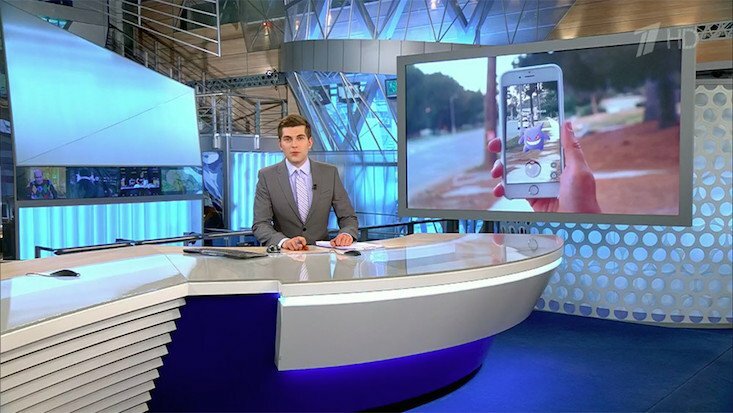 The study, cited by independent television station TV Rain, found that 54 per cent of young Russians watch the channel's newscasts, with the figure standing even higher at 72 per cent for the whole population. Other government-backed broadcasters Rossiya-1, Rossiya-24 and NTV were Perviy Kanal's closest competitors in the survey. TV Rain reports that the only remotely independent station to return a significant result in the poll was RBC, which was watched by 7 per cent of respondents. The Levada Centre's study was carried out from 31 March — 3 April this year, with 1600 respondents taking part across 48 regions of Russia. These statistics may come as a disappointment to those heartened by research published this May suggesting that TV news is losing ground to the internet in Russia. According to a survey carried out by the Russian Public Opinion Research Centre (VTsIOM), while television remains the main source of information for Russians, its popularity is declining: in 2015 it was the medium of choice for 62 per cent of Russians, while in 2017 just 52 per cent expressed their preference for TV news.